Unisys Corp. announced Dec. 26 the appointment of Gary Wang as vice president of cloud and infrastructure services and Peter O’Donoghue as VP of applications services for Unisys Federal. Both report to Unisys Federal President Venkatapathi “PV” Puvvada and will serve as members of the Unisys Federal senior leadership team. Wang will manage the company’s portfolio of cloud-related products and services for Unisys’ federal government clients. He most recently served as chief technology officer of cybersecurity and biometrics at IBM. Wang previously held various senior executive roles at Lockheed Martin, where he was responsible for winning and delivering several large cloud and infrastructure contracts. 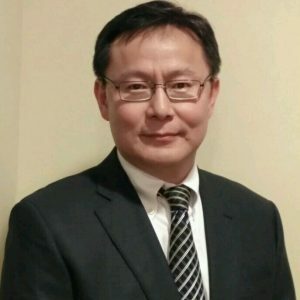 He earned a bachelor’s degree from the University of Science and Technology of China and a Ph.D. from the California Institute of Technology. O’Donoghue comes to Unisys from CSRA, where he served as VP of solutions and alliances and as chief technology officer of the company’s civilian agencies business unit. He previously held several technical executive delivery and sales leadership roles at CSC in the U.S. and Australia. Prior to CSC, he provided technology consulting to Global 500 commercial organizations. He earned a bachelor’s and master’s degrees from Old Dominion University.